By providing a framework to involve external stakeholders and evaluate siting criteria, the rapidly growing utility, Energex, can provide objective guidance and reduce the risk of delays caused by objections to corridor alignments. An Australian utility adopted a GIS-based process for siting corridors for its transmission lines that is successful because it fosters collaboration and represents all stakeholders' concerns. Energex produces and distributes electricity to 3.2 million customers in South East Queensland, Australia, which is one of the country's fastest-growing communities. Government owned, Energex has seen explosive growth the past 10 years. The utility has grown by 30 percent during that time. Its asset base, which is now worth about US$11 billion (AUS $13 billion), includes 650,000 overhead poles and more than 36,000 miles (58,000 kilometers) of wire and cable. Previously, Energex outsourced its corridor-expansion selection. Outsourcing had its benefits, but the reports generated were costly and offered just one recommendation, based on one moment in time. Each report cost US$70,000 to $130,000 (AUS $80,000 to $150,000). Since the report came from an external source, it was hard to foster ownership of it or its conclusions, and buy-in was generally low. This made it difficult for Energex to defend proposed corridor plans to communities, and projects became vulnerable to stalling. But all that changed in 2012. The public and regulators were scrutinizing transmission projects more closely at a time when the growth in energy demand had slowed. The Community Liaison Group at Energex saw this as an opportunity. At issue was how to engage internal and external stakeholders without increasing project timelines. The liaison team wanted a more inclusive, flexible, analytical—and thus defensible—approach to corridor selection. The team wanted an efficient solution that enabled key groups at Energex to collaborate at the start of each selection project so that the process could grow organically. The solution needed to be cost-effective, accommodate multiple needs, and support regular modifications. It needed to illustrate proposed ideas and visually communicate them. It needed to efficiently get stakeholder buy-in so the project would be accepted more quickly. Energex found the solution in Trimble's Corridor Analyst, an ArcGIS extension that is built on the ArcGIS Spatial Analyst extension. Corridor Analyst is more than a robust line-siting tool—it was the gateway to a collaborative, methodical framework that Energex needed to engage its internal and external stakeholders. The liaison team believed the tool provided a framework that empowered both groups with partial ownership over the route selection process. To gain internal buy-in, the liaison team took Corridor Analyst on an internal road show, demonstrating the software's capabilities. 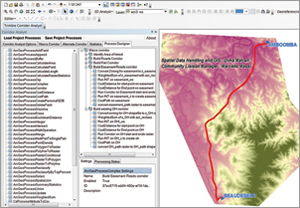 Colleagues in the environmental, planning, strategic planning, detail design, and construction departments could see that Corridor Analyst incorporated their department's unique requirements and data. Trimble Corridor Analyst generates maps that show a corridor choice from environmental, technical, and social perspectives. The road show redefined Energex's understanding of collaboration. Corridor Analyst connected critical data pipes across the company. It chose transmission routes based on accurate, comprehensive data that included internal requirements and community input. 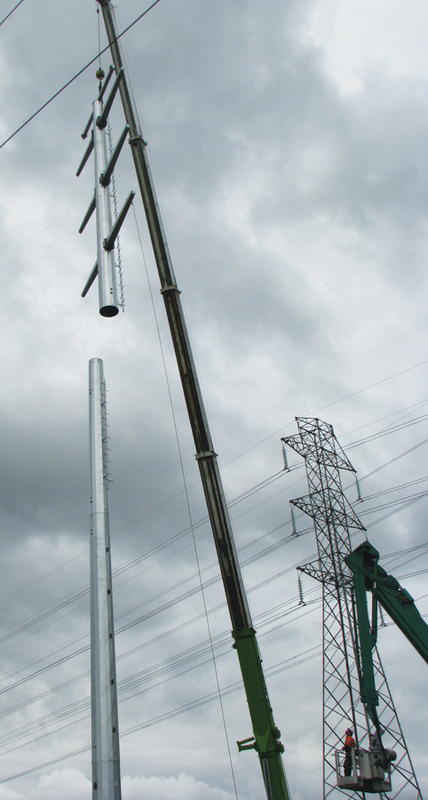 In the past, Energex worked from a static report that furnished a single solution. Now Energex works from a dynamic report generated by the Corridor Analyst extension. Teams study multiple linear routing scenarios and refine calculations to plot the path of least resistance. At the beginning of the corridor selection process, the Community Liaison Group gathers environmental, social, and technical datasets and uses ArcGIS to generate a map of the area. Based on known constraints, technical teams rank the suitability of different features. A national park, for instance, generates a score of 10, indicating that this is the least suitable area for placing an overhead power line. In contrast, rural land generates a score of about 3 because it is a more suitable location for overhead power lines. The software uses these scores to calculate optimal corridors that are displayed as a color-coded heat map. The heat map illustrates the best corridor locations from environmental, technical, and social perspectives. The team then shows these options to internal and external stakeholders, who refine them. Each consultation adds considerations that help better assess and rank a corridor. After incorporating these considerations, Corridor Analyst generates another map. With the refined corridor map, Energex personnel build route alignment alternatives, using more detailed data. The final transmission line, an amalgamation of the top environmental, technical, and social choices, best represents all stakeholders' concerns. Local authorities and residents can now contribute to regional development as part of the corridor selection process. Costly project stalls are less likely because this collaborative corridor selection process lets everyone involved in siting make decisions that are better informed and more objective. Optimal corridors are built using a flexible framework that incorporates quantifiable and defensible methods. Clearly, selecting a tool that emphasizes collaboration with all key stakeholders has been a sound route to take.